The Peugeot 108 is one of three city cars that share the same chassis and engines, the other two being the Citroën C1 and Toyota Aygo. Like Citroën, but not Toyota, Peugeot has chosen to offer two petrol engines for its 108 – both three-cylinder motors, of 1.0 and 1.2 litres. 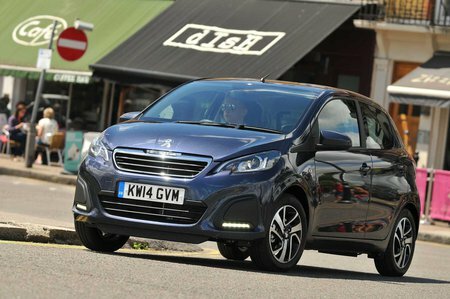 There’s also the choice of three doors or five, and Peugeot also offers the 108 as a cabriolet, called the Top. Beyond these choices, there are four trims to decide between (three on top models) which feature different grades of interior finish and equipment. 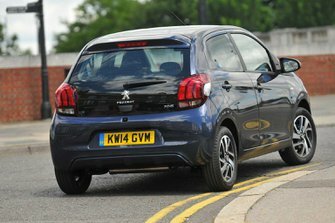 Peugeot has given its little city car a boost thanks to extra technology and wide variety of styling options available to customers, and the 108 is certainly an improvement on the previous 107. Read on over the next few pages to get our in depth impressions of the 108, and to see how we think it compares with its rivals in this hotly contested class. We'll also pick our favourite engines and trim levels.